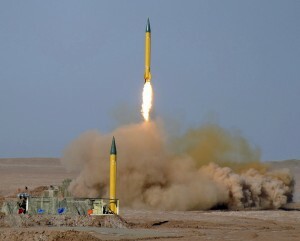 The upgrade version of medium range missile Shahab-1, is launched from Iran. Washington — December 2, 2016 … The American Israel Public Affairs Committee (AIPAC) states that it applauds the U.S. Senate for unanimously passing the Iran Sanctions Extension Act today. The House previously adopted this critical measure on November 15. First passed by Congress in 1996, the Iran Sanctions Act (ISA) is set to expire on December 31 unless this extension becomes law. Congress’ decisive action signals American determination to enforce the 2015 Joint Comprehensive Plan of Action (JCPOA) with Iran and re-impose currently waived sanctions if Iran violates the deal. “Unfortunately, Tehran has only stepped up its malign behavior since the JCPOA was implemented in January,” AIPAC said in a statement released online.